Product prices and availability are accurate as of 2019-04-10 15:26:47 EDT and are subject to change. Any price and availability information displayed on http://www.amazon.com/ at the time of purchase will apply to the purchase of this product. 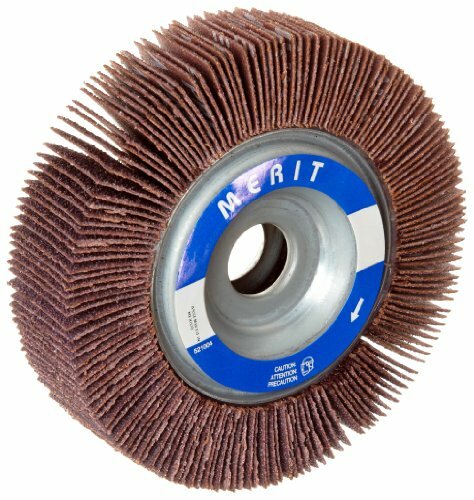 Merit Grind-O-Flex flap wheels are useful for grinding, cleaning, and polishing on metals, plastics, rubber, and wood while the flexible construction reduces the chances of gouging and marring the workpiece. Coated abrasives have individual abrasive grains spaced at a predetermined distance from one another. This is a closed-coat disc. A closed coat covers 100 percent of the surface with abrasive grains, for more stiffness and better surface finish than an equivalent open coat, where abrasive grit covers 50 to 70 percent of the surface. The cloth backing is stiffer, tougher, and thicker than a paper or film backing. Cloth resists tearing while bending and flexing during use. This disc is suitable for use with a die grinder. Ceramic aluminum oxide is tougher than aluminum oxide, and is self-sharpening. It is formed in a process where alumina gel is dried and then crushed. These engineered crystals fracture and refracture at fine levels, to form a smooth, self-sharpening abrasive material. Ceramic aluminum oxide is most commonly used for medium-to-high material removal on metals. 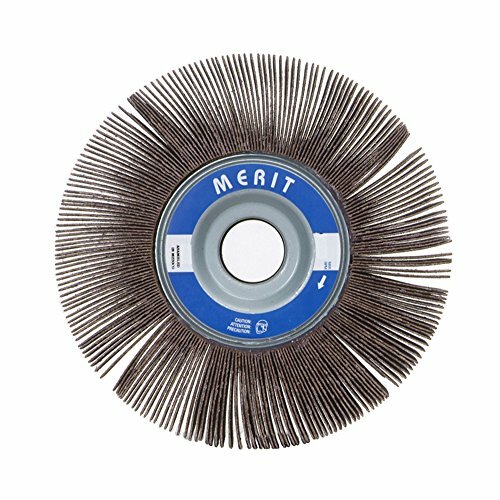 Merit Abrasives has been manufacturing abrasives for the deburring and finishing industries since 1945, and pride themselves on their quality and focus on service. Saint-Gobain owns Merit, and has been recognized as a Global 100 Sustainable Company. Saint-Gobain has also earned ISO 9000 and 14001 certification for quality and environmental management standards.